Mooresville Graded School District: This school underwent a “Digital Conversion” back in 2007 and raised graduation rates from 80% to 91% over three years. Learn more here. Carpe Diem High School:This public school has been highly successful at increasing student achievement with their innovative, technology-enabled blended-learning approach, which they initiatied nearly a decade ago! Explore their story here. Flipped Classroom Pilot improves “DFW” grades: Okay so granted, this is a small scale view, but it is one I was directly involved in and I am pleased to share my school's effort to find solutions that work. Moby Max – A Proven Adaptive Learning Tool Set: Yes, we should all be wary when a vendor publishes a study about their product, but documented results for over 100,000 students in over 3,500 schools are hard to disavow (learn more here). There have been many tools and techniques that have been shown through rigorous studies to provide improvements in learning in outcomes. There are plenty of other examples out there, like Clintondale High School (flippedhighschool.com), Western Governors University, and Franklin Academy, to name a few. These are not singular, isolated cases. The difference between these successes and the education technology failures that we hear about are often the result of poor planning and execution. Proven techniques and concepts can always fail (this list of “12 Potential Education Technology Implementation Pitfalls and Ways to Avoid Them” documents many of the common shortcomings failed projects suffer from). How often have we seen this – a school buys a bunch of new digital gadgets (computers, tablets, etc. 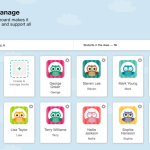 ), rolls them out in classrooms or 1-to-1 programs, and Viola!, they think they've implemented education technology. Then they just sit back and wait for the improved learning outcomes to roll in (and act surprised when it doesn't happen). Maybe they did a little training and provided a few resources? Far too often it is far too little. How many of the horror stories we've heard (iPads in LA schools anyone?) have started with this ill advised approach? One of the most common failings of education technology implementations and integrations are the result of insufficient of or poorly designed professional development for the faculty who are expected to change their practices and embrace new solutions? You can't conduct training once prior to a launch and simply expect everyone to be on board. There must be a variety of PD opportunities and some of them must be “memorialized” so that teachers can leverage them repeatedly over time (for a “refresher” when needed) and so new teachers can use them. Of course, there's a lot more to good PD than that. Ben Franklin is often cited as the source of the powerful phrase, “If you fail to plan, you plan to fail”. Whoever said it, it's just so danged true. You may have heard it before, but it's worth repeating and embracing. As with any new, involved undertaking that can affect a lot of people, good planning is essential to success. In my work at The College of Westchester, I meet with adult students who are embarking on their pursuit of higher education, or returning to it after a prolonged absence, and many of them are pretty nervous. Add to that a lack of experience with the digital technologies that are essential to our hybrid programs, and some of these students are bound to struggle and feel discouraged. Many of these students are less than 10 years removed from high school. That means they were attending high school in 2007 or after. The personal computer had been around for decades and the Internet boom was far behind us. Surely these students were exposed to computers in high school? Well, apparently many of them were not. 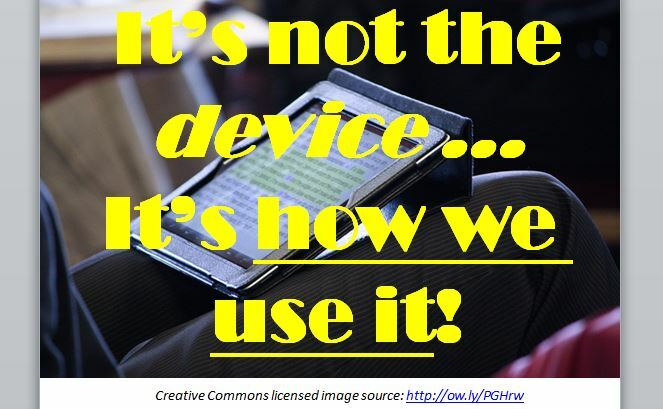 How much longer are we going to wait to make digital literacy an essential part of our school curricula? While many low paying, low skill jobs in today's workplace do not require the use of digital technologies, many better paying jobs do. When higher education technology outcomes go beyond simple skills like creating documents and searching the web, and teach curation, creativity, communication, and collaboration using today's evolving mobile, web based applications, then students can get a leg up on their competition. How are you differentiating your curriculum? So let's open our minds to these realities and start righting the ship of floundering technology implementations, poorly trained faculty, and teachers and admins who aren't willing to model lifelong learning and do what's right by the students they serve. If you're gonna #edtech, do it right, or don't do it all. I enjoyed your article, Kelly! Before I went into teaching I had the same mindset when it comes to technology, especially for elementary students. Currently I teach 3rd grade and am constantly reminded how important it is to familiarize my students with the world of technology. As educators, we need to equip our students with the tools to help them be successful in their academic studies, as well as, life in the “real world.” I think it is important to take a blended-learning approach when it comes to technology in the classroom, but each school must plan and properly train their teaching staff how to use and incorporate technology into their lessons for it to be successful. Thank you for the information! Hi Kelly, I agree with all your points and have a couple of “truths” to add. Firstly, education technology doesn’t have to be expensive. There are plenty of free tools out there that are professional, research-backed and can add value in the classroom. Secondly, education technology is not only the technology that’s used in the classroom, but also tools that teachers, administrators, and importantly, students’ families use to communicate, simplify processes, and work together towards students’ success. Seriously using a digital device for education is really trendy nowadays, that’s why digital Literacy is a vital skill in today’s world. 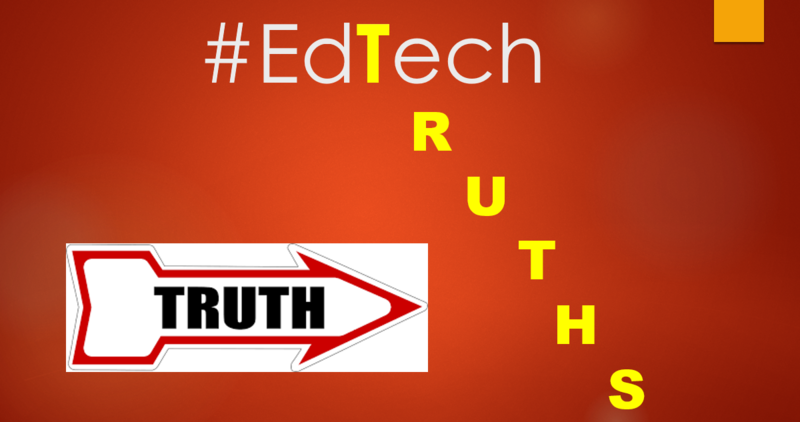 These points truly describe the important truths about education technology.